These presentation slides 39142 are complete compatible with Google Slides. Simple download PPTX and open the template in Google Slides. 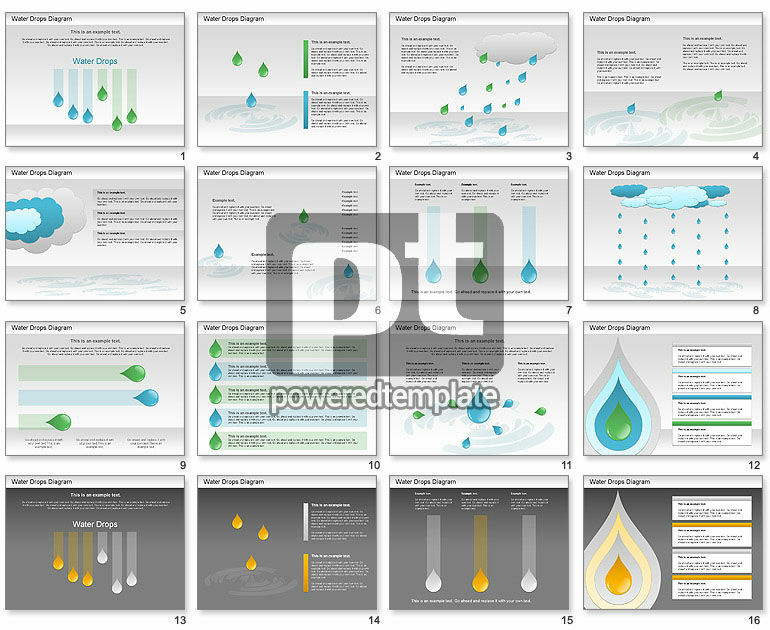 These diagrams with water drops might be a good illustration for presentations on ecology, water balance, pure water resources, using water resources on enterprises, weather forecast, etc.